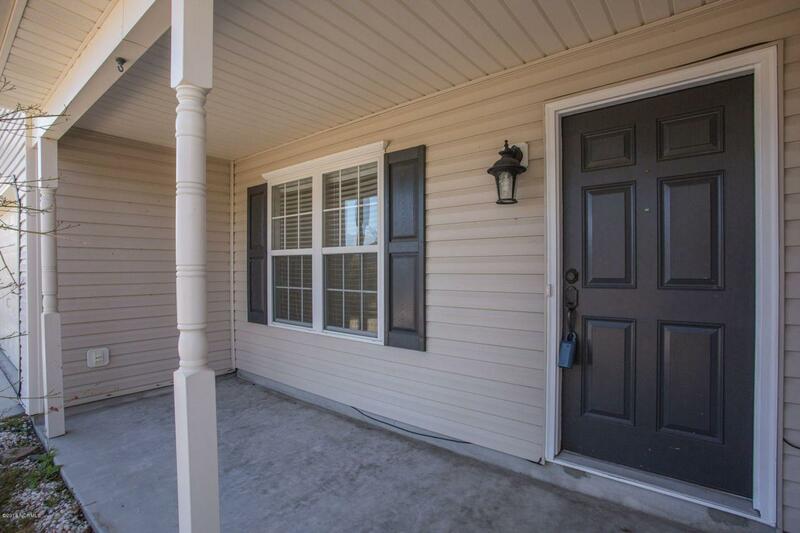 Move in Ready home in the Kingswood section of West Bay Estates. 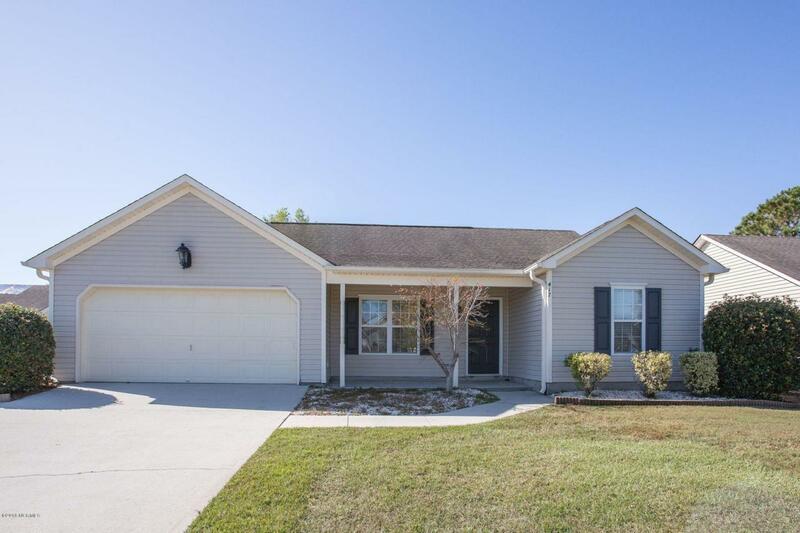 Located on a quiet-cul-de-sac, this home offers a 1539 square foot open/split bedroom floor plan! The garage was converted to a 4th bedroom but could easily be returned to a two car garage. 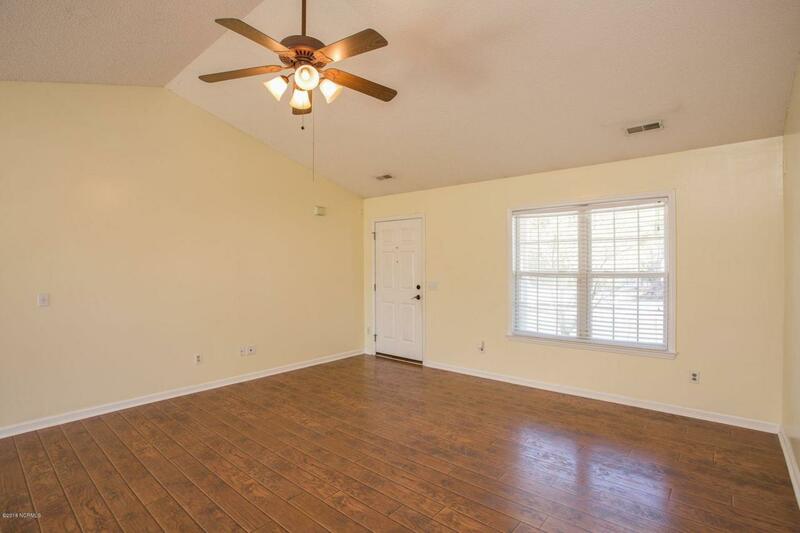 Updated features include; 2015 heat pump with WIFI controller, engineered hardwoods installed in living room, kitchen, dinning area, and faucets and vanity replaced in baths. Kitchen has stainless appliances. Back yard has mature landscaping and a fence. Low HOA that maintains the front lawn. 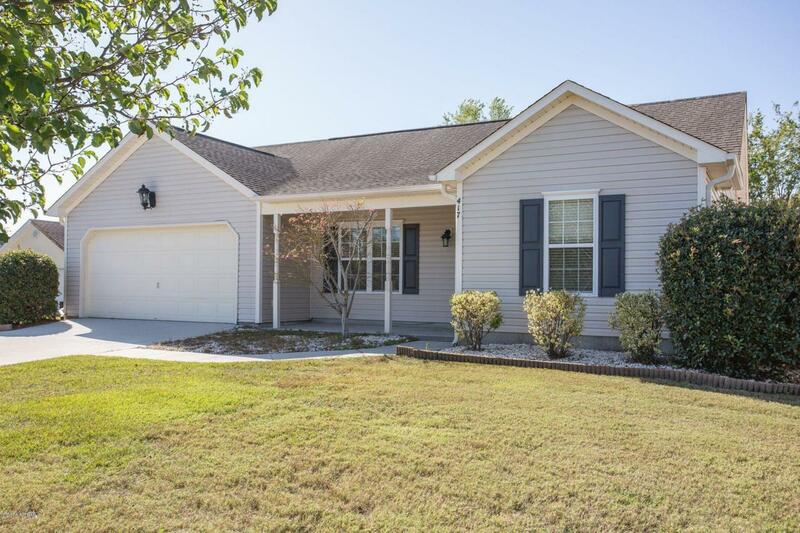 Home is conveniently located in Ogden close to Mayfaire and Wrightsville Beach. Schedule your tour today to experience all of the conveniences it has to offer! Listing provided courtesy of Scott L Gregory of Re/Max Executive.